In the January 1 edition of The New York Times Magazine, Tara Parker-Pope’s “The Fat Trap” looks at one of the most interesting aspects of obesity: how difficult it is to keep lost weight from coming back. I skimmed it when it first came out, but after an email arrived this morning inviting me to sign a petition authored by Gary Taubes, I decided to read it carefully. Ms. Parker-Pope’s article is excellent. Since it presents valuable evidence on some issues I have been planning to write about, I thought I’d use it to begin expounding my theory of obesity. A common experience on weight loss diets is successful weight loss – but often not to normal weight – followed by unremitting hunger that requires heroic willpower to resist, and ultimate capitulation leading to weight regain. This pattern may repeat itself in yo-yo fashion. After a year, the patients already had regained an average of 11 of the pounds they struggled so hard to lose. They also reported feeling far more hungry and preoccupied with food than before they lost the weight. While researchers have known for decades that the body undergoes various metabolic and hormonal changes while it’s losing weight, the Australian team detected something new. A full year after significant weight loss, these men and women remained in what could be described as a biologically altered state. Their still-plump bodies were acting as if they were starving and were working overtime to regain the pounds they lost…. It was almost as if weight loss had put their bodies into a unique metabolic state, a sort of post-dieting syndrome that set them apart from people who hadn’t tried to lose weight in the first place. One year after the initial weight loss, there were still significant differences from baseline in the mean levels of leptin (P<0.001), peptide YY (P<0.001), cholecystokinin (P=0.04), insulin (P=0.01), ghrelin (P<0.001), gastric inhibitory polypeptide (P<0.001), and pancreatic polypeptide (P=0.002), as well as hunger (P<0.001). Decreases in insulin levels after weight loss were evident, and the interaction between postprandial period and study week was significant (P<0.001), with significant reductions in meal-stimulated insulin release 30 and 60 minutes after eating, both from baseline to week 10 (P<0.001 for the two postprandial comparisons) and from baseline to week 62 (P<0.001 for the comparison at 30 minutes; P = 0.01 for the comparison at 60 minutes). Gary Taubes, in his petition, complains that Ms. Parker-Pope “forgot to mention that the hormone insulin is primarily responsible for storing fat in her fat tissue”; perhaps this omission was just as well. That experimental binge should have translated into a weight gain of roughly 24 pounds (based on 3,500 calories to a pound). But some gained less than 10 pounds, while others gained as much as 29 pounds. Note that eating a pound’s worth of calories typically led to something like a half-pound of weight gain; this shows that weight increases lead to energy expenditure increases. This was in a study in which the subjects were prevented from exercising. Likely the weight gain would have been generally lower if the subjects had been free to move as they wished. Recently the British television show “Embarrassing Fat Bodies” asked Frayling’s lab to test for fat-promoting genes, and the results showed one very overweight family had a lower-than-average risk for obesity. Kudos to Drs. Wing and Hill: This is precisely the kind of data-gathering effort that is needed to help us understand weight loss. There is no consistent pattern to how people in the registry lost weight — some did it on Weight Watchers, others with Jenny Craig, some by cutting carbs on the Atkins diet and a very small number lost weight through surgery. But their eating and exercise habits appear to reflect what researchers find in the lab: to lose weight and keep it off, a person must eat fewer calories and exercise far more than a person who maintains the same weight naturally. If this is true, then few people have figured out how to cure their obesity. Rather, they’ve just found ways to keep weight off while remaining “metabolically damaged.” They can’t live like normal people and maintain a normal weight. The piece then goes on to discuss the case of Janice and Adam Bridge. Mrs. Bridge peaked at 330 pounds in 2004, now weighs 195; Mr. Bridge peaked at 310 pounds and now weighs 200. Based on metabolism data she collected from the weight-loss clinic and her own calculations, she has discovered that to keep her current weight of 195 pounds, she can eat 2,000 calories a day as long as she burns 500 calories in exercise. She avoids junk food, bread and pasta and many dairy products and tries to make sure nearly a third of her calories come from protein. No junk food (presumably sugar), bread, pasta, or dairy is pretty Paleo. Compared to the standard American diet, it’s low in carbs and high in protein. The article points to other sources of evidence for metabolic differences between the obese and the never-obese. [O]ne woman who entered the Columbia studies [of Drs Rudolph Leibel and Michael Rosenbaum] at 230 pounds was eating about 3,000 calories to maintain that weight. Once she dropped to 190 pounds, losing 17 percent of her body weight, metabolic studies determined that she needed about 2,300 daily calories to maintain the new lower weight. That may sound like plenty, but the typical 30-year-old 190-pound woman can consume about 2,600 calories to maintain her weight — 300 more calories than the woman who dieted to get there. Presumably 190 pounds is still obese for the “typical” 30-year-old woman. So the reduced-weight obese woman is burning fewer calories than a same-size obese woman who never reduced her weight. Muscle biopsies taken before, during and after weight loss show that once a person drops weight, their muscle fibers undergo a transformation, making them more like highly efficient “slow twitch” muscle fibers. A result is that after losing weight, your muscles burn 20 to 25 percent fewer calories during everyday activity and moderate aerobic exercise than those of a person who is naturally at the same weight. After weight loss, when the dieter looked at food, the scans showed a bigger response in the parts of the brain associated with reward and a lower response in the areas associated with control. How long this state lasts isn’t known, but preliminary research at Columbia suggests that for as many as six years after weight loss, the body continues to defend the old, higher weight by burning off far fewer calories than would be expected. The problem could persist indefinitely. What Caused the Metabolic Alterations? What’s not clear from the research is whether there is a window during which we can gain weight and then lose it without creating biological backlash…. [R]esearchers don’t know how long it takes for the body to reset itself permanently to a higher weight. The good news is that it doesn’t seem to happen overnight. I’m going to be spelling out my theory of obesity over coming months, but let me introduce here a few hypotheses which can account for the data reported in Ms. Parker-Pope’s article. I believe the brain defends not only (or primarily) an amount of fat mass, but also the health of the body, as reflected by the quantity and quality of lean tissue. So it is plausible to speak in terms of set points, but there are two set points: a “fat mass set point”, and a “lean tissue quality set point.” The second is dominant: Lean tissue is essential to life, while gains in fat mass may diminish fitness in some environments but will increase fitness in others and are rarely catastrophic. So the tissue-quality set point usually dominates the fat mass set point in its influence upon the brain and behavior. Feedback to the brain about the quantity of fat mass comes to the brain through a hormone, leptin, that researchers can easily monitor; but feedback about the state of lean tissue comes through the nerves, which sense the state of tissues throughout the body. Lean tissue is too important for health, and can be degraded in so many different ways, that signals about its state cannot be entrusted to a fragile, low-bandwidth mechanism like a hormone. Lean tissue signaling uses the high-bandwidth communications of the nervous system. This feedback system is hard for researchers to monitor. So the “fat mass set point” is visible to researchers, but the “lean tissue quality set point” is invisible. This is why researchers focus on the fat mass set point, while actual dieters, who know their own experiences are not explained by a simple fat mass set point theory, resist the idea. Malnutrition will decrease tissue quality, triggering the brain to increase appetite (to get more nutrients) and diminish resource utilization (to conserve nutrients). If the diet is deficient in the nutrients needed to build tissue, but rich in calories, then tissue-driven increases in appetite and reductions in nutrient utilization may (not necessarily, because the body has many resources for optimizing lean tissue and fat mass independently) lead to an increase in fat mass. Eventually a rise in leptin counterbalances the tissue-driven signals, but this occurs at a new equilibrium featuring higher fat mass, higher appetite, and reduced nutrient utilization compared to the pre-obese state. Leptin signaling is responsible for the resistance to fat mass increases. The degree to which this resistance affects outcomes depends on the quality of lean tissue. The higher the quality of lean tissue, the less the brain needs to protect it and the more sensitive it is to leptin. The lower the quality of lean tissue, the more lean-tissue drives dominate and the more the brain ignores leptin signals (is “leptin resistant”). Malnourishing “starvation” weight loss diets degrade lean tissue, and therefore they make the brain hungrier then it was before the weight loss, more eager to conserve resources that might be useful to lean tissue, and more leptin resistant. However, weight loss diets that restrict calories, but improve the nourishment of lean tissue, should have the opposite effect. They should make the brain less hungry, less focused on conserving resources, and more leptin sensitive. How much has to be eaten to provide adequate nourishment to lean tissue? In Perfect Health Diet: Weight Loss Version (Feb 1, 2011), I explored this question. Just to provide the necessary macronutrients to maintain lean tissue, I believe it’s necessary to consume at least 1200 calories per day. To optimize micronutrients as well, it’s probably necessary to supplement, even on a 1200 calorie diet. This is on a perfectly-designed diet. The less nourishing the diet, the more calories will be needed to eliminate tissue-driven hunger. A few Perfect Health Dieters have been using our diet for weight loss for a long enough period of time – 9-12 months – to test this hypothesis. I was a yo-yo dieter – I could lose weight but it always ended up even higher. I tried meal shake replacements, frozen dinners to limit calories, no meat/meat, no dairy/dairy, acid/alkaline, exercise/no exercise while dieting, no cash or credit cards in my wallet going to work so I wouldn’t stop at a fast food, punishment where I had to eat a raw tomato if I cheat (I hate raw tomatoes), and many other vegetarian leaning and mental tricks. A pattern emerged with these diets. I would starve with low energy for about a week or two until my will power ran out. Then, I would go eat something “bad.” If I continued to repeat the pattern and managed to be “successful,” I stayed hungry even once I reached my goal weight. I tried to transition to a “regular” amount of food to stop starving and just maintain but to no avail. My weight went right back up even higher than before even without cheating on the diets. This yo-yo pattern of hunger followed by weight regain exactly fits the experiences described in Tara Parker-Pope’s article. 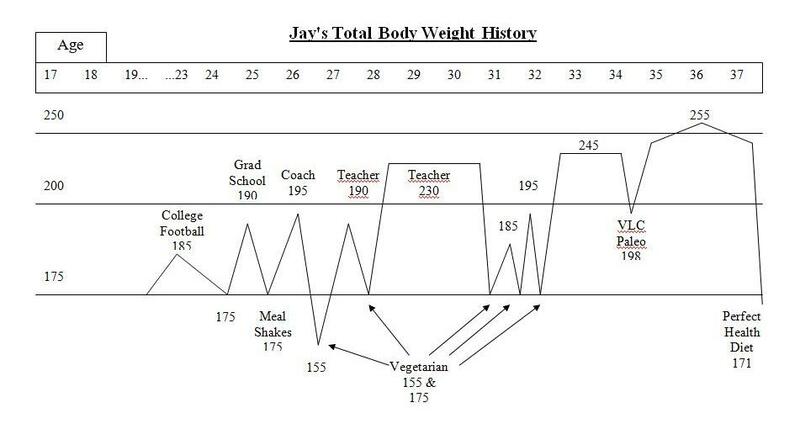 However, Jay’s experience on PHD breaks the pattern. 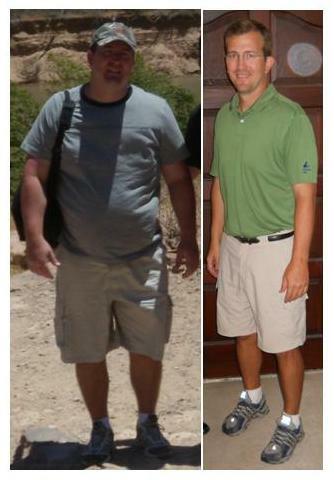 Jay went from 250 pounds to 170 pounds – his normal weight – in six months. Weight loss was steady and he experienced little hunger. He’s maintained his normal weight without regain for 3 months. Jay’s experience is counter-evidence to many of the ideas put forth by the academic researchers in Ms. Parker-Pope’s article. For instance, Dr. Leibel’s theory that months of obesity create a persistent rise in set point is refuted; Jay had been obese for 10 years but his set point was quickly reset. I’ll be spelling out my theory of obesity in much more detail later; this is only a first installment. But I’ll say this: I’ve been gratified by the experiences of people who have tried our diet for weight loss. Our Results page has many reports of reduced hunger, reduced food cravings, and weight loss. Even those who have not lost weight have reported greatly reduced hunger. I think that means their lean tissue is becoming better nourished, causing the brain to feel less urgency about acquiring more nutrients. I think this reduction in hunger is the proper first step to healthy weight loss. And I hope that in time we can gather enough case studies to prove that a nourishing diet like the Perfect Health Diet is the best approach to weight loss — and to a genuine cure for obesity. Paul, do you know about the Protein Leverage hypothesis? This has produced experimental evidence for the lean set point theory. It says we eat to gain a certain amount of protein and will eat extra calories to get there. Obesity: the protein leverage hypothesis. The obesity epidemic is among the greatest public health challenges facing the modern world. Regarding dietary causes, most emphasis has been on changing patterns of fat and carbohydrate consumption. In contrast, the role of protein has largely been ignored, because (i) it typically comprises only approximately 15% of dietary energy, and (ii) protein intake has remained near constant within and across populations throughout the development of the obesity epidemic. We show that, paradoxically, these are precisely the two conditions that potentially provide protein with the leverage both to drive the obesity epidemic through its effects on food intake, and perhaps to assuage it. We formalize this hypothesis in a mathematical model. Some supporting epidemiological, experimental and animal data are presented, and predictions are made for future testing. A significant contributor to the rising rates of human obesity is an increase in energy intake. The ‘protein leverage hypothesis’ proposes that a dominant appetite for protein in conjunction with a decline in the ratio of protein to fat and carbohydrate in the diet drives excess energy intake and could therefore promote the development of obesity. Our aim was to test the ‘protein leverage hypothesis’ in lean humans by disguising the macronutrient composition of foods offered to subjects under ad libitum feeding conditions. Energy intakes and hunger ratings were measured for 22 lean subjects studied over three 4-day periods of in-house dietary manipulation. Subjects were restricted to fixed menus in random order comprising 28 foods designed to be similar in palatability, availability, variety and sensory quality and providing 10%, 15% or 25% energy as protein. Nutrient and energy intake was calculated as the product of the amount of each food eaten and its composition. Lowering the percent protein of the diet from 15% to 10% resulted in higher (+12±4.5%, p = 0.02) total energy intake, predominantly from savoury-flavoured foods available between meals. This increased energy intake was not sufficient to maintain protein intake constant, indicating that protein leverage is incomplete. Urinary urea on the 10% and 15% protein diets did not differ statistically, nor did they differ from habitual values prior to the study. In contrast, increasing protein from 15% to 25% did not alter energy intake. On the fourth day of the trial, however, there was a greater increase in the hunger score between 1–2 h after the 10% protein breakfast versus the 25% protein breakfast (1.6±0.4 vs 25%: 0.5±0.3, p = 0.005). In our study population a change in the nutritional environment that dilutes dietary protein with carbohydrate and fat promotes overconsumption, enhancing the risk for potential weight gain. Yes, I’m familiar with it. 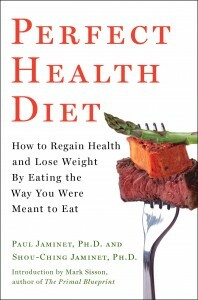 I don’t much care for the hypothesis: http://perfecthealthdiet.com/?p=2046. We certainly do eat to get a certain amount of protein, but I’m not sure that translates to a lean set point. The hypothesis that you set out there does look seriously shonky. However Raubenheimer has been presenting it in NZ as a behavioural hypothesis and leaving out the ridiculous metabolic mechanism. Protein ratio influences calorie consumption as eating behaviour. Remember that methionine makes choline and noradrenaline (etc) and protects against fatty liver. If scientists want to prove that restricting anything prolongs life, they need to restrict it in the wild by removing it from the natural foraging or hunting range of a species. Otherwise what they are probably proving is that eating chow is worse than starving. My variation on the obesity hypothesis would probably be two parts gary taubes and the fattening carbohydrate to one part PUFAs and one part “empty calorie” micronutrient deficiency, with a dash of microbiota. But I could turn that around; I think it likely that animal fats, holus bolus, were antiobesigenic beyond their ability to displace carbs back when they provided the majority of calories, probably by a wide variety of influences and mechanisms, and that losing this protection – which may not have been strong but was sufficient – was what began the slippery slope. After all, our slim great-grandparents were not huge consumers of salad greens, or of anything else we think of as slimming today. They ate bread, porridge and potatoes, a few other veges, cheese, butter and cream, a few sweets and seasonal fruit, and lots of greasy meat and egg and offal dishes. If you look at epigenetics you can see how the genome might respond over time to various aspects of dieting. Many things in food, including macronutrients as well as plant toxins and even AGEs, act as signals (directly, not just through hormones) as to how the environment is behaving, and metabolism adjusts accordingly. So that, as you say, a slow, comfortable, steady state weightloss may be better than sudden stresses for maintaining lifelong stability. interesting stuff. It’s pretty hard to test, though, because in addition to protein, wouldn’t you have to see if the body tries to maintain its intake of a variety of specific micronutrients also? There’s so much that might appear self-evident but is impossible to prove, that is, it’s impossible to imagine an experiment that would CLEARLY demonstrate that a hypothesis is true to an averagely intelligent reader. This is, I think, the case with Food Reward experiments; what are they trying to prove, do the results in fact prove that or something else, or indeed nothing at all beyond the experiment itself… I may be obtuse but those experiments do not speak clearly to me. The results do not suggest any meaningful generalisation about real life situations. Whereas the many low-carb experiments of Jeff Volek, R.D. Feinman et al. http://www.nmsociety.org/low-carb-research.html do strongly support a Taubesist-Atkinist position. The Volek-led trials are well designed to produce meaningful results from real-world dietary situations. I suggest reading Feinman’s blog for his analysis of statistical and experimental methodology. Testing for micronutrient leverage might not produce clear results, because overeating in low-micronutrient states could be due to defective regulation, not to an appetite for and satiety from micronutrients. The challenge is always to design ways of testing each hypothesis clearly. A hypothesis that cannot be falsified (disproven) is just a theory. I’m currently reading a biography of Ernest Rutherford for inspiration. I largely agree. That’s part of my trouble with the food reward hypothesis, the data is insufficient to convince and it’s difficult to test. Also it’s obviously incomplete, it doesn’t explain pathologies in many other tissues that contribute to obesity. Also, there’s no clear answer why disruptions to the food reward system have a bias toward overeating, as opposed to say anorexia. You’d think they’d be equally likely. However, I also believe that medicine and science are not exactly the same; the heuristic, individualised, inductive reasoning that plays a part in developing something like the PHD, or good GP practice, alongside scientific analysis, is the valid way (and only possible way) to fine-tune anything. Scientists try to prove or disprove the general rules or principles that they elucidate by isolating and highlighting them artificially. Development of the apparatus to produce the results more efficiently for daily use is the work of technicians and engineers. Teaching others to use the developed apparatus efficiently and safely is an art. Whereas the food toxin hypothesis does seem sufficient to explain addictive overeating, anorexia, and bulimia in diffrent individuals, or even the same individual at different times, on the same diet. But perhaps I just say this because my own experience makes it blindingly obvious, not because it can be proven. Deficiency of some B vitamins has anorexia as a symptom and Orthomolecular psychiatry treats anorexia with these. They are predominantly co-enzymes for carbohydrate metabolism like thiamine. Experiments that test theories about the treatment of obesity don’t really address its cause, of course. One presumes that what makes it worse at least helped to cause it, but this presumption also needs to be proved for any future prevention message to be 100% reliable. I would like to see a test of two diets, one with 60% carb from fruit, potato and root veges, the other with 60% carb including 30% from wheat and other refined grains. You could also have a 30% sugar arm and a mixed sugar and grains arm. This would test the toxic foods hypothesis to some extent. How long has Jay maintained, Paul? His setpoint was not at all reset simply by losing the weight. if he has been his new weight ofr say 6 years, THEN we are talking. Dr. Leibel’s research predicts Jay will regain in 10 years and almost certainly longer. Dr. Jeffrey Friedman has found that body weight is as genetic as height. The heritability of obesity is gretaer than any other condition studied by science except height possibly. Only a smidgen under. GENES dominate our weights. Short term success does not at all count. Over the very long term voluntary factors cannot affect much. He reached his goal weight last October and has maintained it since. That’s 10 months maintenance, he says without difficulty. Genes affect risk for obesity but they do not make it inevitable. That is why obesity was rare in the past. The heritability of obesity is equal to that of height. The genetic component of obesity is monumental. 80 % to 90 % of the variance in obesity can be ascribed to genetic factors. This is very, very well studied. But it might be fair to compare obesity to other diseases that have a genetic component, such as MS or diabetes, wherein once it is triggered it is a lifetime condition that currently can only be managed, and not cured. What was especially interesting about Ray’s post was how gastric bypass patients saw such a rapid resolution of their Metablic Syndrome issues after the surgery. I’m currently on the Specific Carbohydrate Diet, one that is specifically designed to address SIBO. As you likely know, this diet is almost identical to Paleo (without the chocolate or the sweet potatoes, unfortunately). It therefore makes sense that the increase in our consumption of starchy processed foods over the last few decades have fed pathogenic bacteria leading, possibly, to the low-grade inflammation seen in obese patients. You’ve promised to write more about your theory of obesity – is it in your new book? (Which I hope to get for Christmas)? Yes, most of our ideas on obesity are in the new book. Certainly inflammation leads to weight gain and SIBO produces inflammation. How much that contributes to the obesity epidemic is an open question. I think it’s more likely to account for 10-15 pounds of fat in a lot of people, rather than very large weight gains. Taubes research is US-centric, Mackarness learned from the US researchers but added from his experience as a psychiatrist. “Not all in the Mind” is a great read too. Diet and exercise are FAILED treatments for obesity. Science has studied this and it has failed over and over. Obesity is fat cell falure with many, many, many causes – most of which have NOTHING to do with diet OR exercise. There are MANY obese poeple livign GREAT lifestyles- far better than many thin peopl e- YET REMAIN HEAVY. Dr. Linda Bacon Ph.D. would educate you. There is CURRENTLY NO diet- NONE- that is effective for LONG TERM weight loss. NONE. This is what the science shows us so far. Chronicically weight reduced states invoke a “non- physiological state” and a major increase in chemo-mechanic efficiency. The body does not adjust to a chronically weight reduced state and this effect lasts the rest of your life. Your brain is not at all happy about the weight loss. This is the work of expert Dr. Rudolph Leibel and Dr. Rosenbaum- genuin scientists and true experts. Mark Sisson, LYle mcDonald, Alan Aragon, Anthony Colpo and all those other crackpots can come up with their nonsense, but it does not make it valid whatsoever- only in the Blogosphere…. .NONE of them are obesity experts.They are salesmen abusing physics for profit. Obesity is biochemical. Razwell, you come off as pretty dogmatic, citing Leibel or whats-his-name as the expert who has the last word. The problem is that apparently quite a few people are having experiences with PHD that run counter to the dogma. The theory that Paul has expounded on in this article makes a lot of sense. I don’t believe the dogma regarding obesity being an irreparably broken metabolism being promoted by a number of doctors/medical university professors with mainstream medicine big pharma ties. People invested in the medico/pharma industrial complex always say things are incurable so they can then tell u your only hope is a drug or surgery. No , Lisa… You are IGNORANT of the actual scientific evidence. I know the research these doctors conduct. They are PIONEERS and PARADIGM switchers. They educate other scientists and doctors. Your comment says it all…. You don’t “BELIEVE.” such and such.. This is NOT about “belief.” YOU are forcing the evidence of reality to conform to your BELIEFS. This is a NO-NO in science. You must force your beliefs to CONFORM with the EVIDENCE of reality. The EVIDENCE from A1A experiments from Dr. Rosenbaum and others shows us the physiological responses from weight loss are dramatic and PERSIST STRONGLY EVEN 8 years out. Probably for the rest of your life. This is well studied…..
Reasons for weight regain are BIOLOGICAL. Again- WELL STUDIED. I have done far more research into this than you Internet dilettantes and crackpots. Not a single person on the Internet is aware of the info I present. NONE of you people ( crackpots) on the Blogopshere understand the body has INVOLUNTARY powerful defense mechanisms that exert their effect. Weight regain is due to BIOLOGY. This is NOT pleasant to learn understandably BUT IT IS REALITY. YOU must FORCE yourself to have you beliefs conform to the evidence of reality. The Blogopshere salesmen do the OPPOSITE. Razwell I have been following your slo-mo commentary for the last year. I like the general findings of population studies like nwlr (Wing) and the USDA 1970-2005 dietary trends. This isn’t a lot of help for protecting a 50 lb weight loss 7 years ago. My body wants its fat back and I’ve refused so far. Lots of sub aerobic exercise forces it to metabolize what I feed it. I eat anything that tastes good, but the mind has to step in to overcome the biological urge to store fat. FALSE thhq. The data is clear from Linda Bacon. We STILL see weight regain in individuals who rigorously maintain their workout and eating regimens. You obviously do not follow the literature. DUETS. DO . NOT. WORK. BIOLOGY is the reason for the OVERWHELMING LOONG TERM FAILURE RATES of UNSUCCESSFUL fat loss. I am not slow at all , guy. In fact, I have about 40 TOP scientists backing what I say. YOU are being CONNED by Bloggers….. The FAILURE RATE of diets and workouts in the BEST medically supervised weight loss programs in the BEST hospitals have a failure rate of 80 to 90% in the first year and over 95 % after 2 to 3 years- and gets worse after that even. With failure rates SO high, the METHODOLOGY IS WRONG. We do NOT understand obesity that well and Bloggers do NOT understand it at all…. Scientists like Rosenbaum are trying to set you people straight. “Obesity is NOT what you think it is” ( the erroneous behavior willpower nonsense) Rosenbaum has said. Obesity is not 1/10th solved. Bloggers are scammers who want your MONEY,.REAL scientists have NOT figured this out- not by a loooooooong shot…. All these equations you see on the Internet are GARBAGE of the highest caliber. There is NO singular equation that can characterize the loss/gain of muscle and fat. These are hellishly complicated BIOCHEMICAL PROCESSES. Humans produce a SUBSTANTIAL amount of DISSIPATED HEAT- LOST energy. 120 watts…. Gurus never mention this. I talk to the BEST. People such as Lyle McDonald , Colpo et al are abusing the first law of thermodynamics and scamming people. It does not address fat cell regulation. Fat mass is a REGULATED process- involuntary feedback loops with environment playing a smaller role. The body DEFENDSA fat mass and has a MIND OF ITS OWN- ITS OWN agenda. SCIENCE- REAL science- shows us this…..
OK Razwell if I’m wrong explain to me why 50 lbs weight has stayed off. Why my waistline is still 36″, when it was 42″ 7 years ago. Why my diabetes is still gone. What I did had nothing to do with bloggers. I just did what my GP told me to do. Stopped eating immense amounts of dry breakfast cereal, bought some roomy shoes and started using them. Your comment is full of erroneous ASSUMPTIONS about obesity. NEVER ASSUME. You’re an individual case. YOU specifically MAY have had bad habits, as you suggest and admit. DON’T ASSUME other obese people do. I used to do this myself back in 1998 when I was not educated about this topic. There are PLENTY of over- fat and obese people leading fabulous lifestyles, YET remain heavy. All the thin people I personally know ( neighbor and good friends)are either lazy as hell , eat BIG bowls of cereal at night, or very average- NOT exercising much and certainly NOT dieting. Look into Dr. Jeffrey Friedman. We all know somebody who eats like a mothertrucker and stays thin. GENES are responsible. Trying to stay at the lower end of our setpoints is all that we can do over the looong term. So, congratulations that you have. The most dedicated health nuts, who exercise dilligently and eat well ( nutrient dense reasonable portions) who I know are all over-fat. Males very young ( 21 years etc. 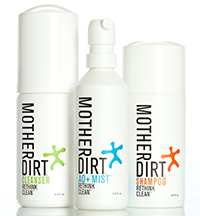 ), free of disease, goood hormone levels, healthy and no obesity in their families usually would do well. This situation is a lot different than an elderly, post menopausal woman, on many medications, poor hormonal tone etc. I have read Linda Bacon. I am not ignorant of the “science” that you cite. However I don’t believe that “science” is the dispassionate, unbiased, infallible, God that you do. I think it is riddled with people’s agendas, biases and just plain mistakes. I think it is possible and even likely that at times it seems the answer is clear based on the data BUT it isn’t realized that assumptions are being made that are false so our seemingly incontrovertible conclusions are unbeknownst to us also false. I’m sorry, you can insult me and call me ignorant all you want but when someone says there is no cure for obesity I don’t believe them. I was told there was no cure for inflammatory bowel disease and that is what medicine and “science” spout but guess what? I’m cured of it for several years now. I did it myself. Also I don’t believe that obesity is genetic. Genetics can’t account for the huge rise in obesity in such a short time period. I don’t believe the answer or cure for obesity is eat less and exercise more. I fully get and understand that. I think whatever hormonal and metabolic problems are causing it need to be fixed. Have you ever read Jon Gabriel’s stuff? He lost weight like 200 lbs using the methodology that is very similar to what Paul says here in his theory. He believes you need high nutrient density. He believes stressors including malnutrition turn on people’s fat programs. Obesity in the family can be attributed to the (poor) diet the family ate. The diet can cause the ‘disease states going on’, as can the ‘many medications’ and poor hormonal’ issues. But my main question is why do you protest so much? Why do you SHOUT? Why are you so angry? Maybe something to do with your diet perhaps? 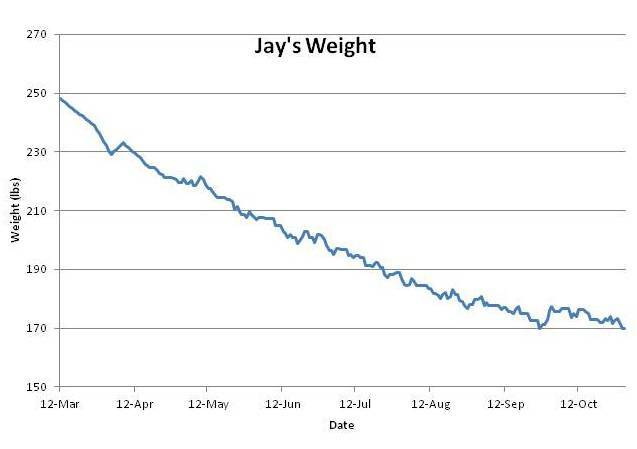 has Jay managed to keep his weight off? It’s been 4 or 5 years now right?